Do you travel to you office by green transportation? Have you ever truly wanted to travel to your downtown Toronto office by the ultimate green transportation? While taking public transit is green, bicycling to the office is the truly green way to get to your office. Some downtown office spaces can offer you, but only Telsec Toronto office space can offer a major bicycle route like the Martin Goodman Trail just outside the front door-a bicycle route like no other, an asphalt mostly off-road trail. The Martin Goodman Trail is part of the 730 kilometre Waterfront Trail that connects 41 communities from Niagara to Quebec along the Canadian Shores of Lake Ontario and the St. Lawrence River. It was named in memory of the former President and Editor-in-Chief of the Toronto Star who passed away in 1981. How fitting that Telsec is located in the Toronto Star Building at 1 Yonge Street. What? You don’t have a bicycle? Oh, you need a new bicycle. 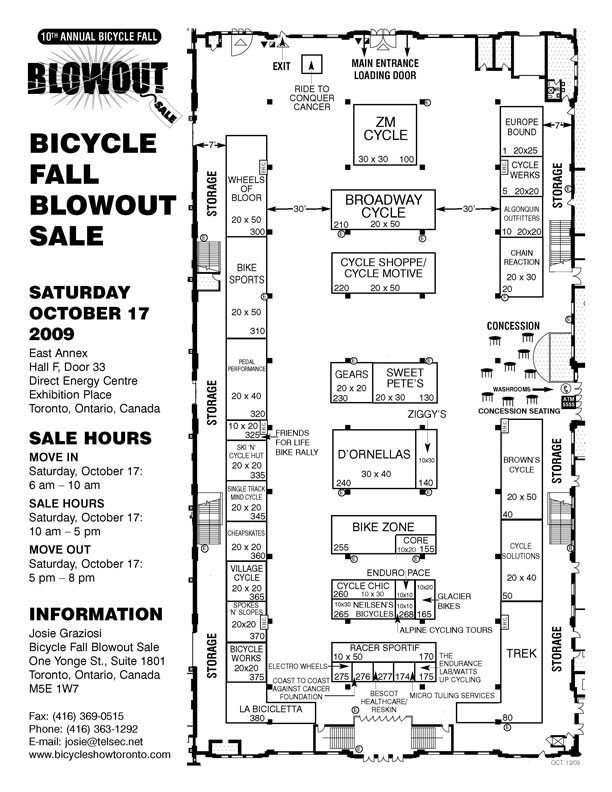 Saturday, October 17, 2009 – 10 A.M. to 5 P.M. is the once-a-year, seven-hour sales blitz known as the Bicycle Fall Blowout Sale, presented by the Toronto International Bicycle Show https://www.bicycleshowToronto.com. The Blowout Sale takes place at the Direct Energy Centre, East Annex, Hall F, Door 33. That is the North entrance next to new Ricoh Coliseum (New Hockey Arena) at Exhibition Place, Toronto, Ontario, Canada. Admission is only $5.00 and the savings are huge. Don’t miss this one day only year-end clearout by some of Toronto top bike shops.